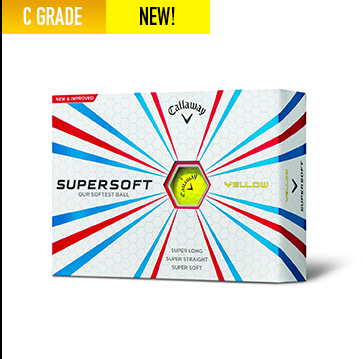 The new and improved 2015 Supersoft is our lowest compression golf ball... It's long, straight, and of course, incredibly SUPER SOFT!! Supersoft is our softest golf ball. It has only 35 compression points, making it a full 20 POINTS SOFTER than some of our most popular 2-piece balls. Boom!! Featuring an Ultra Low Compression core which delivers maximum ball speed with reduced spin for increased distance.